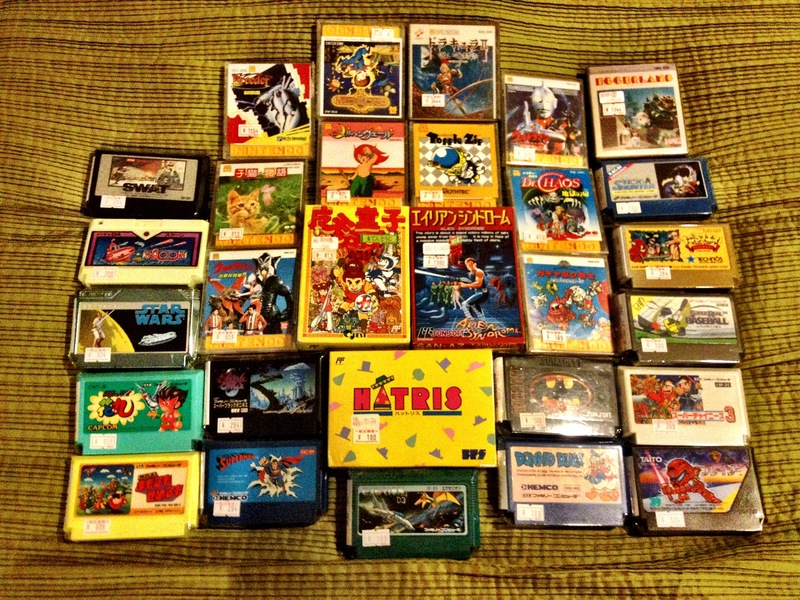 This weekend I tried all the games I purchased in Japan out briefly (in total 64 games and one system), and all of them worked, except for one Famicom Disk game (Breeder) which I actually think I broke myself o_O Not really sure what happened there.. 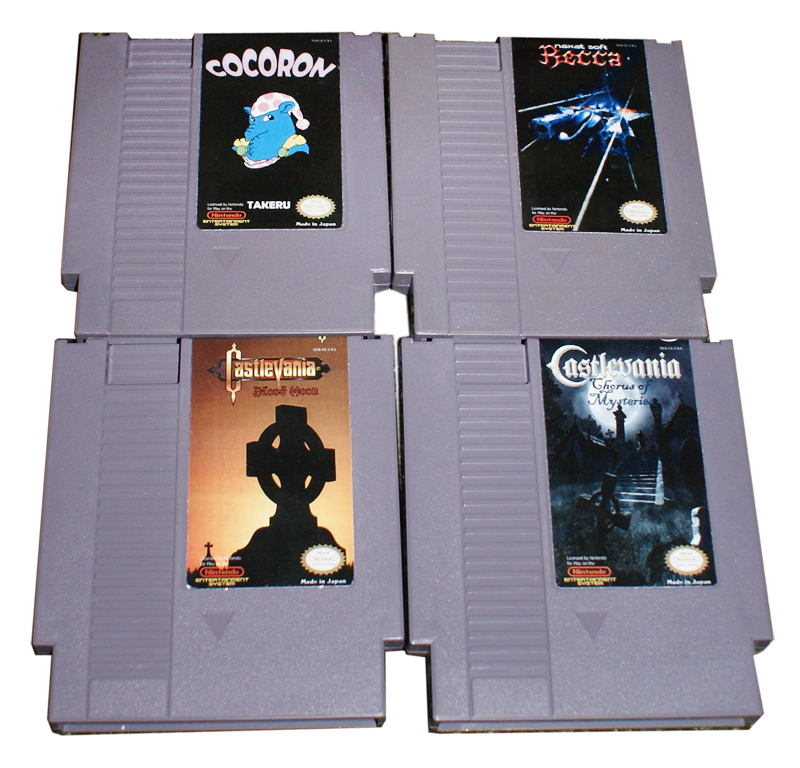 The games are reproductions of Cocoron, Recca and two Castlevania games which are fan-made in 8-bit ^_^ Can’t wait to try them all out! This entry was posted in Famicom, Famicom Disk System, NES, Nintendo and tagged Alien Syndrome, Castlevania, Castlevania II, Cocoron, Eggerland, Famicom, Famicom Disk System, Hatris, Japan, Kamen no Ninja Hanamaru, Recca, Reproductions, Star Wars. Bookmark the permalink. I’m starting to realize you’re a solid Castlevania fan! Why not, they are excellent games. I really enjoyed the Nintendo DS versions. The NES classic is great but very hard. Those reproductions look really good. 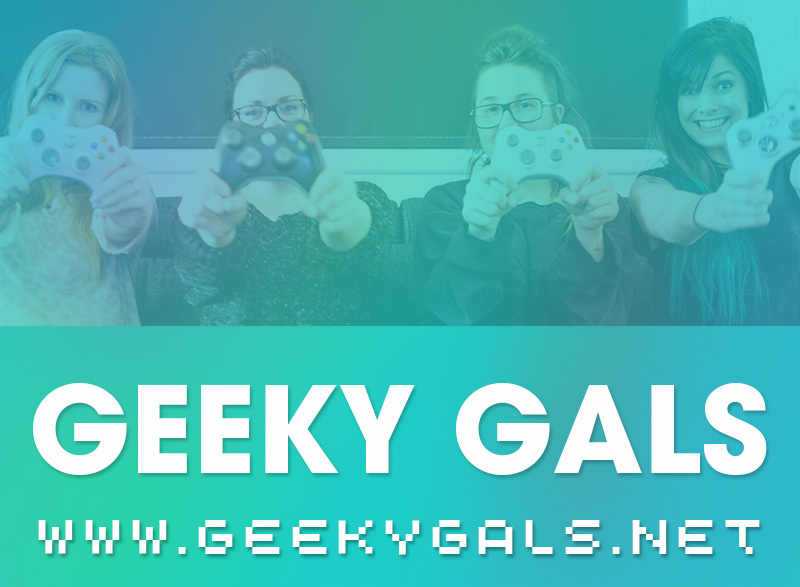 You’ll have to let us know what you think of the fan made games! That really rocks. I love hearing about modern games for retro systems. 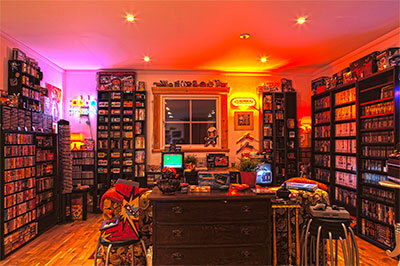 I would also love to see an updated picture of your collection once you’ve got all these new additions added to it.